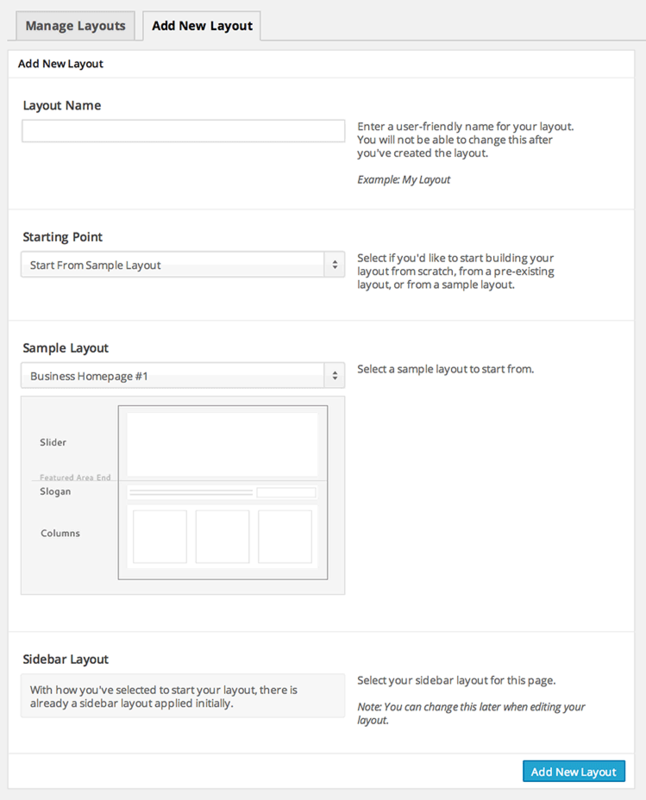 The Layout Builder allows you to create as many custom layouts as you want for your site. A custom layout can either be used for your homepage or applied to individual static pages. 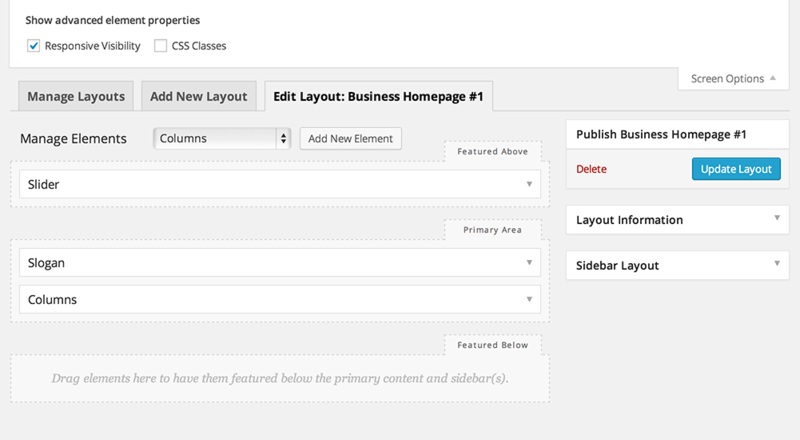 To get the Layout Builder, make sure and install the Theme Blvd Layout Builder plugin with your Theme Blvd theme. Manage all of your layouts from a simple, easy-to-use admin interface. You can create as many layouts as you want and apply them to whatever pages you want. 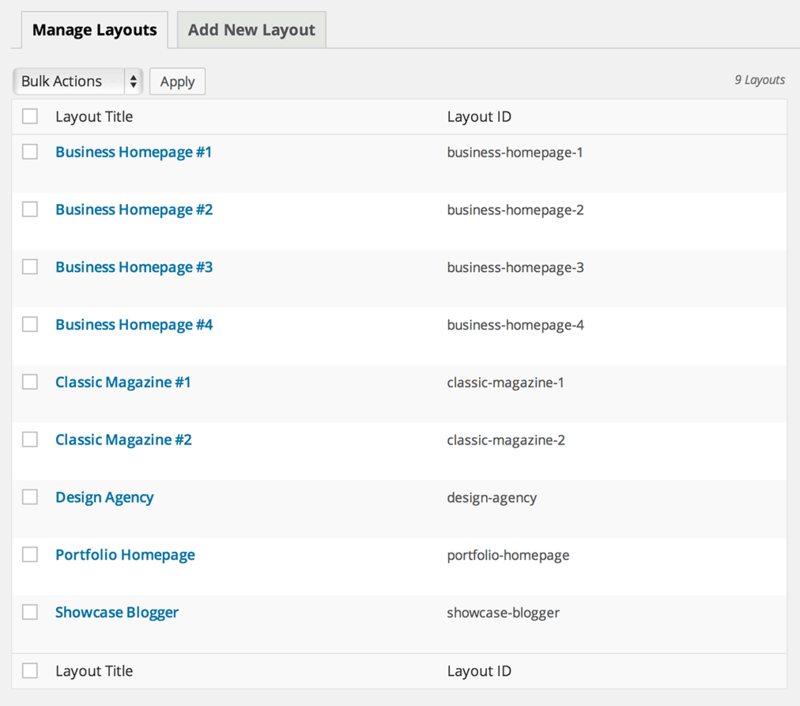 Every time you create a new layout, you can either start from scratch or start from one of the included sample layouts. See above on the main menu of this demo to see all sample layouts included with this theme. Embracing the power of WordPress at its core, this is an interface that will take your WordPress user-experience to the absolute next level. Add your elements, drag them around and configure them. It couldn’t be more simple.